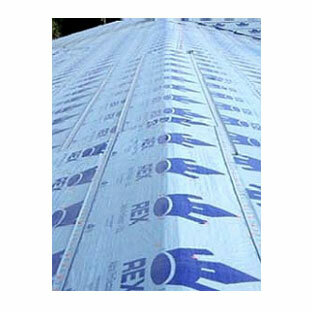 PRODUCT: REX Synfelt Roofing Underlayment. 4x250' Roll / 10-Square. Class A Fire Rated, Miami-Dade Approved, 6 month UV exposure capable, 50 YEAR Warranty. Price/Roll. BENEFITS: Rex SynFelt 100% Polypropylene synthetic underlayment offers offers a strong, secure, and safe alternative to conventional roof underlayments. It has the longest history of Synthetic products in the market and offers the best Warranty, 50 Years. ICC-ES Listed: ESR-1601, Meets ASTM D226 type II.